The new referral program has quite a few bugs and technical problems, these are the ones i've encountered so far. 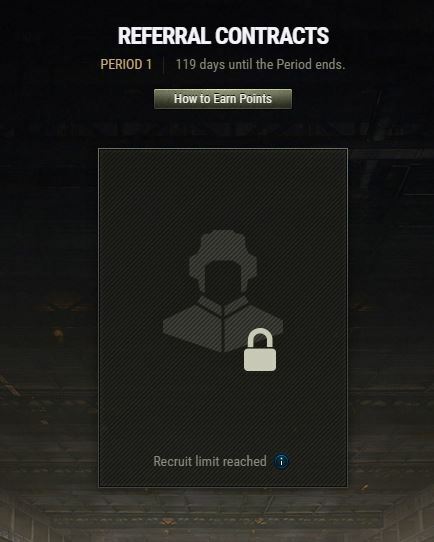 1. after i invited two people, the referral screen just said that i had to play negative 113 battles to invite recruits, and it wouldn't show any of the recruits i've already invited. 2. my friend said that after clicking the refer a friend button in the game, it wouldn't load the screen, it'd just show the metallic background of the game. 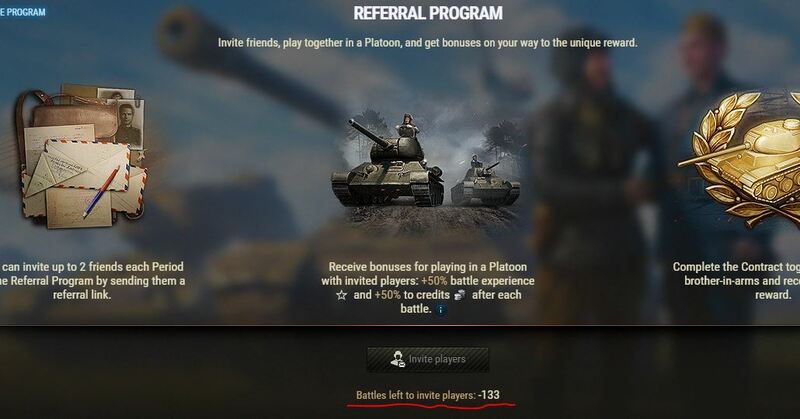 3. my other friend said that he didn't get my invitation, even though it took up one of my slots , he had over 1000 battles, but haven't played for more than 60 days. I hope you can fix this as soon as possible Wargaming, thanks! Edited by QiQi_Tanker, 06 February 2019 - 05:12 PM. Yeah. I did everything as directed, but Referral Points did not increase. I hope WG will soon overcome and compensate. May I ask you to lodge a ticket to the support, please? When you have done it, please send me the ticket number, I will escalate it to higher-up.